207 pages. 6 x 9. Softbound. 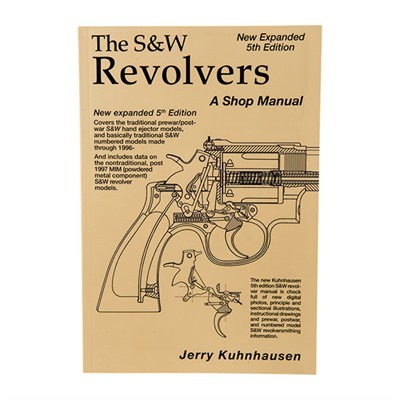 Expanded 5th Edition of Jerry Kuhnhausen’s classic. 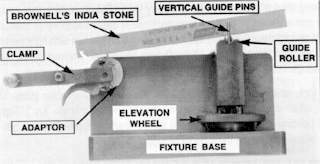 Since the lockwork is essentially the same on all Smiths, the information in this book applies to J, K, L and N frame guns, from pre-WWII models to current numbered models. Covers all the common problems from cracked frames to poor timing and excess endshake. Tells you how to do custom work like adding a crane locking ball and even goes through polishing and rebluing. Naturally, there are full, step-by-step disassembly instructions complete with “how-to-tell-what’s damaged” info. Includes discussion of post-1997 MIM (metal injection molded) parts.